These Amnesia Haze cannabis seeds are just as epic as their more indica-dominant counterparts. The geographic regions that the ancestors of this strain originate from are well documented. A true haze male hybrid was bred from strains imported from Thailand, Cambodia, Laos, Jamaica and Hawaii. This hybrid was crossed with the famous Dutch Amnesia and a so called Super Skunk (a high yielding Skunk #1 phenotype). The result was a heavy producing, fast flowering haze/sativa-dominant hybrid strain that has been on the top of the popularity list ever since. These Amnesia Haze cannabis seeds will not disappoint you. Effect: Extreme high without couch lock. 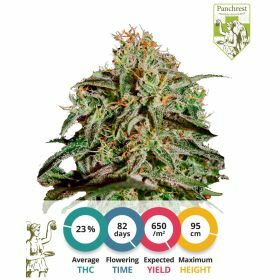 This Amnesia autoflower is bred by Dutch breeders with the Amnesia that is sold by us as a direct parent (the female side of the pedigree). That Amnesia is a direct descendent of the original Amnesia. 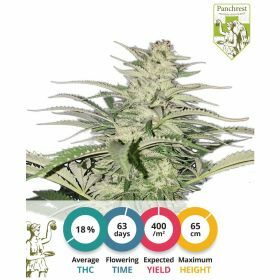 Our Amnesia autoflower has been bred by crossing in Ruderalis genes from a very high yielding auto Northern Light that was bred in Amsterdam. 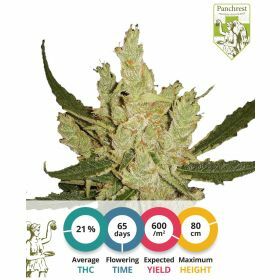 This strain incorporates all qualities that Amnesia is known for, in a compact auto flowering package.